Can I just tell you how happy I am that it's cooling off outside? I had co-workers coming into work today saying that it was a little too cold for their taste. I, on the other hand, am feeling comfortable for the first time in 6 months. Hallelujah! 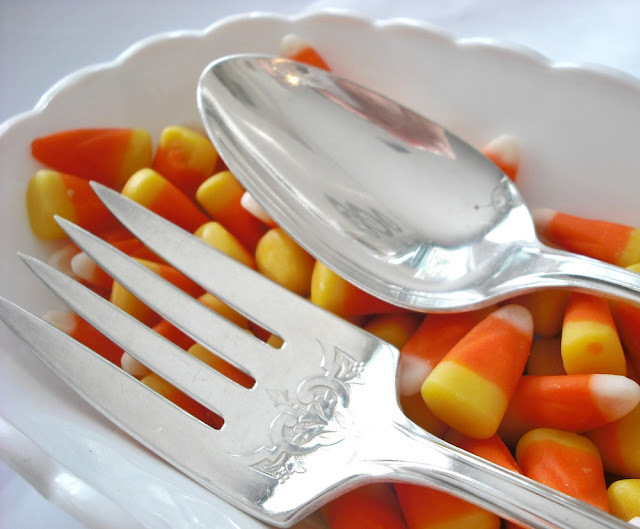 The cool weather reminded me that Thanksgiving is right around the corner, and if you're anything like me, you've already started planning. If you're nothing like me, please, no judging, I know I have a problem...a holiday addiction. Regardless of whether you're a planner or a procrastinator, this giveaway is perfect for you! The Loose Goose emphasizes vintage decor with a past. Nicole's items are classically chic and can be customized to any occasion. She explained to me that the term "loose goose" comes from the meaning that if you are loose, then you have a past, just like these items! What's even cuter are her items. 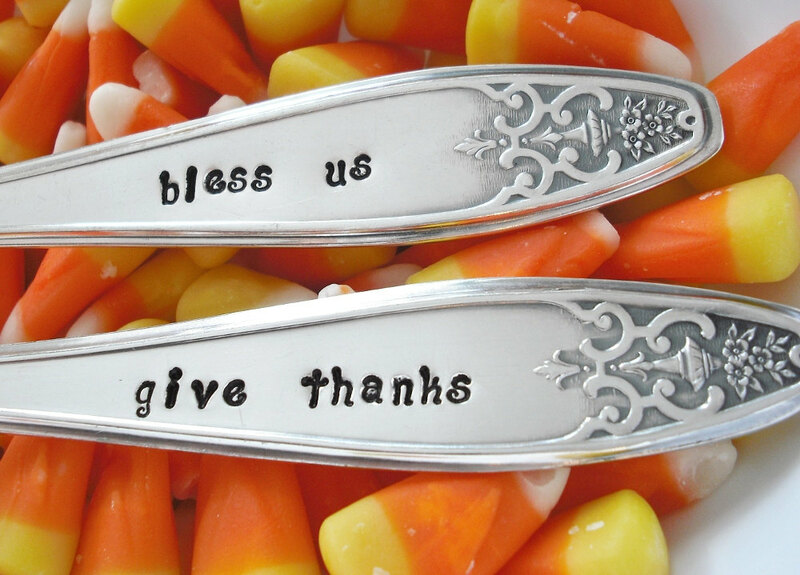 She (primarily) sells personalized antique silverware and serveware on Etsy. It's perfect for weddings, holidays or to mark special occasions, and it's affordable! 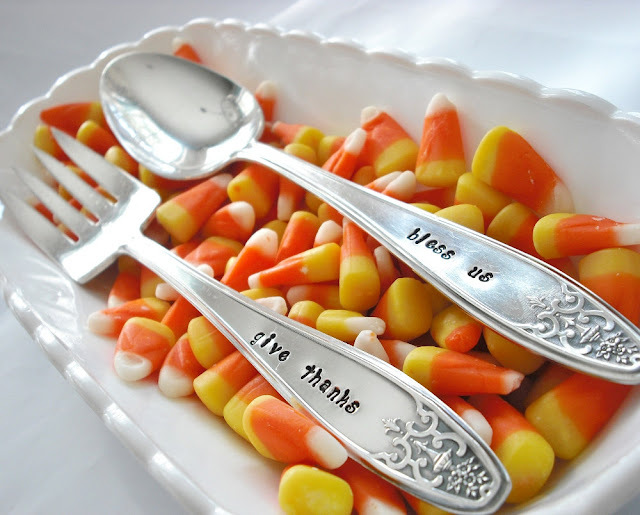 Be honest...what's your least-favorite dish that someone always shows up to Thanksgiving dinner with? The one that they insist you "take two bites of and you'll be hooked" and you actually never get hooked on. The deadline is Sunday, October 14th at 5pm. Please leave your email address with the comment. The winner will be selected randomly using random.org. Good luck, and don't forget to drop by The Loose Goose shop!